Contrary to my intial beliefs, I did not freeze while wearing this outfit (I was afraid the thights wouldn't be enough). The main reason for thinking this had to do because this is from November (I know, I know) and at that time, even when most people already have to pull out their coats if they're going out for the night, my town remains hot as hell no matter what. It's barely January and the cold weather is already starting to cease, but that's what you get for living in the middle of a desert. 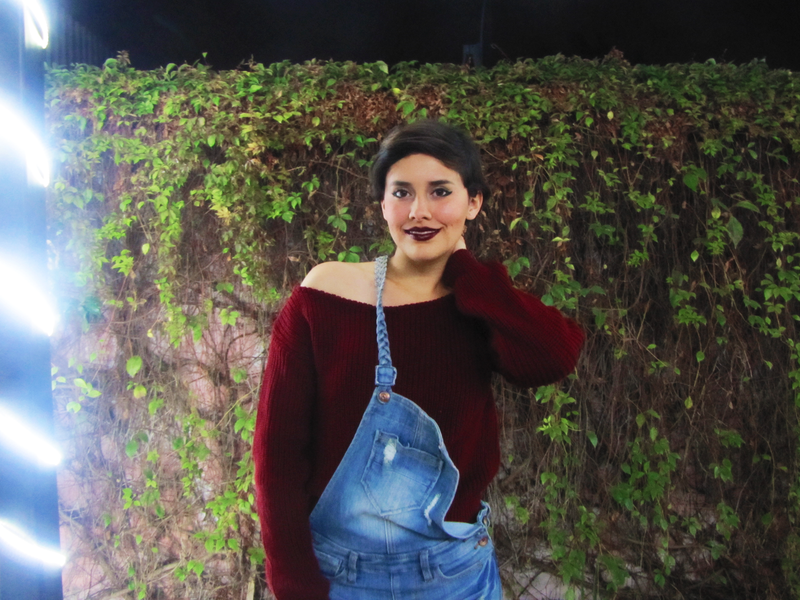 Went to a party and was thankful that most people didn't make their usual "why so dark", "what's up with the overalls", "what are you wearing", "ARE YOU A FARMER?!?! xD" comments. Slowly becoming immune to random critiques, cheers. Also I lost TWO rings that night, I'm still mourning over them. RIP in pieces. I refuse to go to WarpedTour until The Academy Is... get back together. Great outfit! Love that lipstick color! 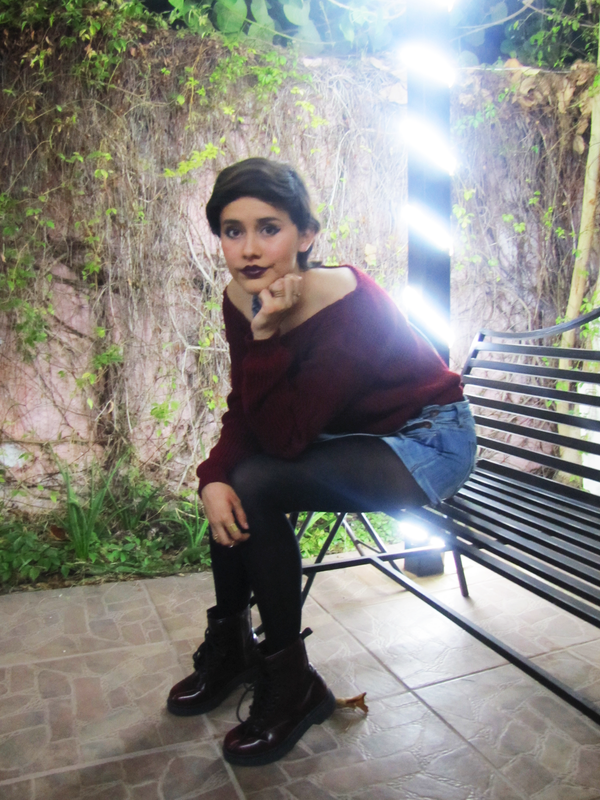 Bonito look!!! encantada de conocer tu blog!! y gracias por tu comentario!! 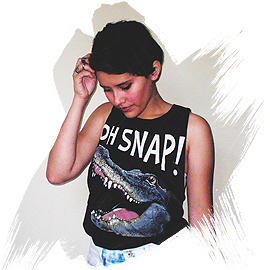 Te sigo por GFC, Bloglovin y g+!!! You look stunning in this outfit. Love your lipstick shade too! Yo cuando llevo overales también me hacen comentarios tipo si soy una granjera haha! pero como me gustan me da igual! 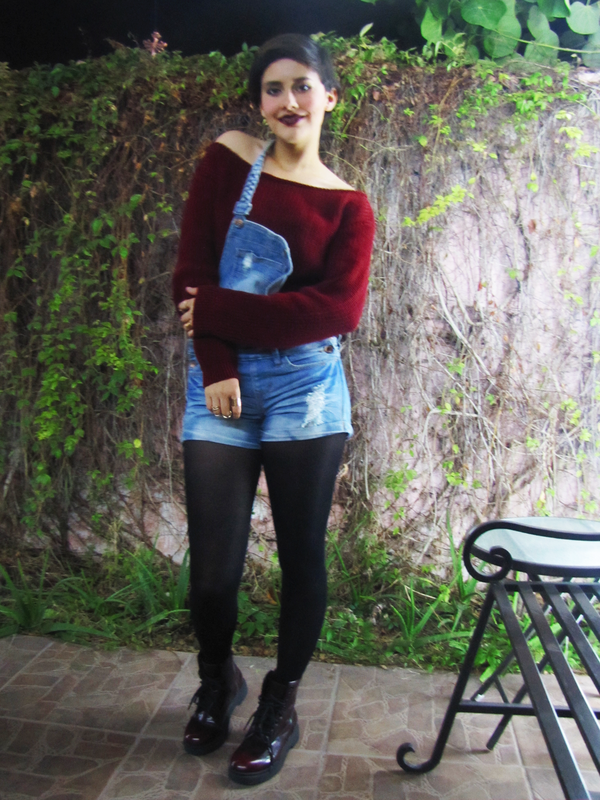 me encanta el jersey y más su color, pero lo que más me gusta son las botas, una locura! Muchas gracias, y si jaja, mi amor por estos overoles supera los comentarios! Great blog! Would you like to follow each other? Let me know on my blog dear ^-^ I really want to keep in touch! This is a really cute outfit. I love it! lovely outfit :) love your lipstick shade as well. Cute pictures I love the GIF. Great look! And I love your make up! I love your lipstick!! Lovely blog! That look is super cool! 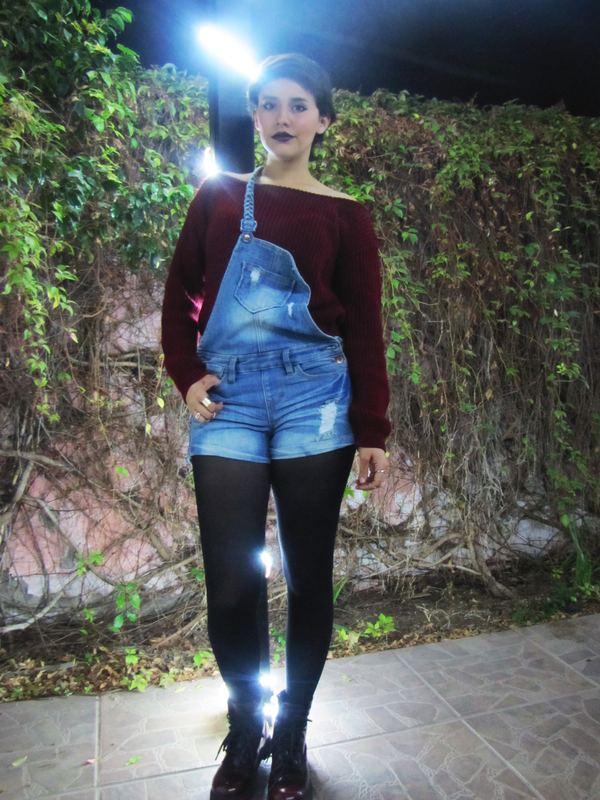 Love your overall, it goes perfect with the oversize sweater and Dr.Martens shoes!